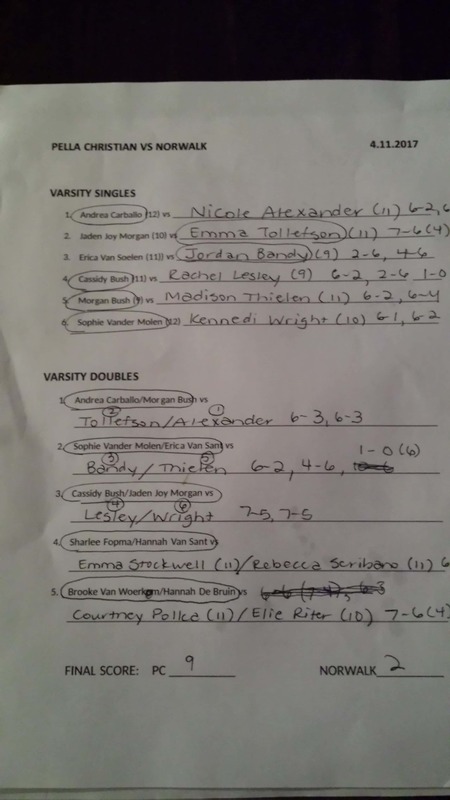 Pella Christian’s tennis team rode a perfect round of doubles to a 9-2 win at Norwalk last night. Pella Christian dropped the No. 2 and No. 3 matches, but those players–Jaden Joy Morgan and Erica Van Soelen, each tallied doubles victories. Pella Christian is 2-1 and hosts Oskaloosa Thursday.